The role of social media in the events of the Arab Spring and its aftermath in the Muslim world has stimulated much debate, yet little in the way of useful insight. 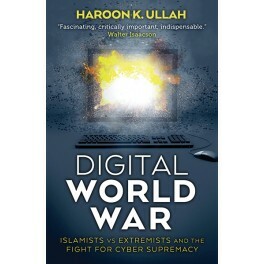 Now Haroon Ullah, a scholar and diplomat with deep knowledge of politics and societies in the Middle East, South Asia, and Southeast Asia, draws the first clear picture of the unprecedented impact of Twitter, Facebook, and other means of online communication on the recent revolutions that blazed across Muslim nations. The author carefully analyzes the growth of social media throughout the Muslim world, tracing how various organizations learned to employ such digital tools to grow networks, recruit volunteers, and disseminate messages. In Egypt, where young people rose against the regime; in Pakistan, where the youth fought against the intelligence and military establishments; and in Syria, where underground Islamists had to switch alliances, digital communications played key roles. Ullah demonstrates how social media have profoundly changed relationships between regimes and voters, though not always for the better. Looking forward he identifies trends across the Muslim world and the implications of these for regional and international politics.